Although a lot of people are frightened by them, some keep snakes as exotic pets at home. Most of the time snake owners would usually keep their pets in separated containers since they are not really social animals. In addition, they could end up eating each other if placed inside a single box and fight over their food. 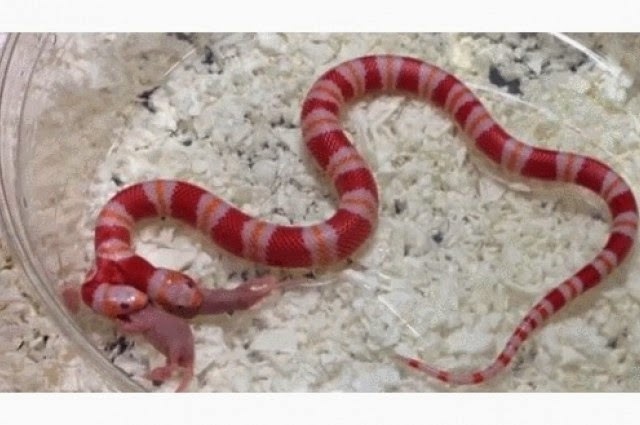 But in very rare cases, owners face a dilemma of having to take care of a snake that has two heads in one body. 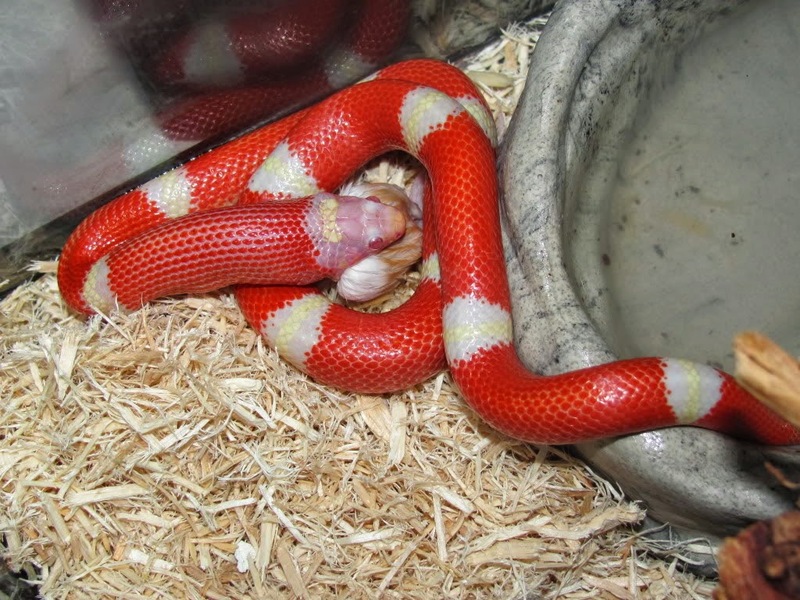 A common Albino Honduran Milk Snake named Medusa has a very uncommon mutation. She has axial bifurcation, which is a rare case of two heads that are attached and independent able to manipulate a single body. Cases like these happen when monozygotic twins do not complete the process of splitting. In the wild, these bicephalic snakes usually don’t live long, however they can be just fine when taken care of in captivity. Since both heads think differently, it’s absolutely impossible to even guess how each of the heads will act. 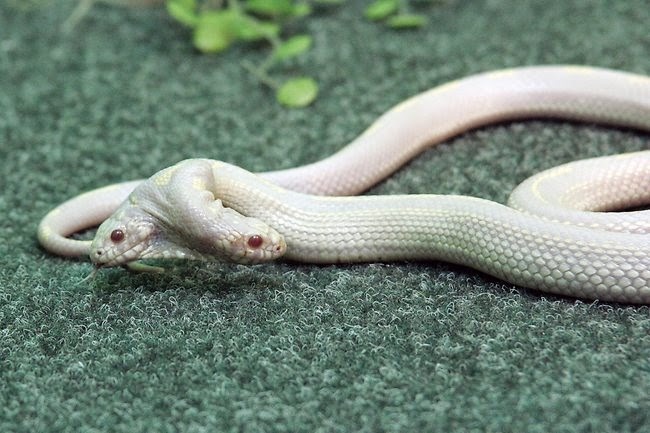 Although you might think that after being born together the heads would get used to having one another around, they’re technically still two different snakes. Feeding time can be a problem since they both will need to eat even though the nutrient from the food is going to be shared. Each brain picks up hunger signals and each of them decides that they want to eat. This leads to them fighting over food, so feeding them means that both heads will need to be fed to avoid conflict.